Des McLean is an award winning presenter, actor and comedian. Based in Glasgow, Des is in demand both throughout the UK and across the world and has also toured America, Canada, New Zealand and Australia. 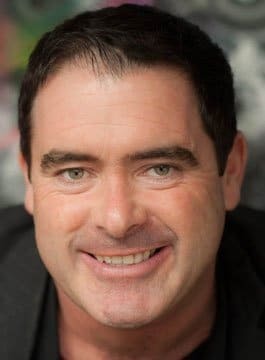 In 2013 he starred as Tommy Sheridan, the lead role in Ian Pattison’s critically acclaimed play ‘I-Tommy’, whilst his own stand-up shows headlined in Scotland, New Zealand, Canada and Las Vegas. Des McLean’s stand-up comedy stage show ‘Des McLean’s A to Z of Scotland’ toured nationwide throughout 2014 to coincide with the ‘Year of Scotland’. Des is a regular host and performer on the corporate circuit, recent clients include Renfrewshire Council, Inverclyde Council, The Wise Group and Celtic Football Club.